When it comes to washing my face, I have always considered it to be a daily cleansing ritual with my best face wash: Dove Beauty Moisture Face wash for winters, Pond’s Pure White Deep Cleansing Facial Foam for summers,and Lakme After Sun Face wash post sun exposure. To me, it is not just washing my face but a kind of mini facial that I give to my skin every morning and evening. My skin responds to this pampering treatment feeling refreshed, clean, and energized. While, washing your face can be an art, a cleanser is a cleanser right? After all, they all do the same job of cleaning our skin, isn’t it? Well, no. Just like washing your face in a particular way, choosing the right face wash for your skin is also an art. The ritual is incomplete, unless you wash your face with the right face wash.
Once you start using the right face wash, meant for your skin type, you will start noticing the difference in your skin. The only key to good skincare lies in leaving all the harp and using beauty products meant for your skin type. And beauties, the good news is, we are living in an era, where skincare brands have got something for everyone. This is an all time dermatologists’ favorite formula. It is light, smooth, has no scent and effectively removes every speck of dirt, grim, and make up. It is budget-friendly and suits most skin types. Bad: Does not contain special ingredients for specific skin concerns. It is not a fancy product. A gel based cleanser for normal to oily skin. It is a herbal product that contains neem and turmeric extracts to combat oily skin problems and detoxify skin from deep within. A budget-friendly product but don’t expect miracles, especially if you have acne-prone skin. Good: Herbal product. Does not cause dryness. Cleans well. Bad: Leaves a film behind. Does not treat acne. Another good cleanser for oily skin. But this is a non herbal product that deeply cleans the skin of all debris and gunk. Suits most skin types. Good: Effective deep cleanser for skin. Bad: Little expensive for the work it does, i.e. deep cleansing the skin. Contains activated carbon to rid the skin of all its impurities. 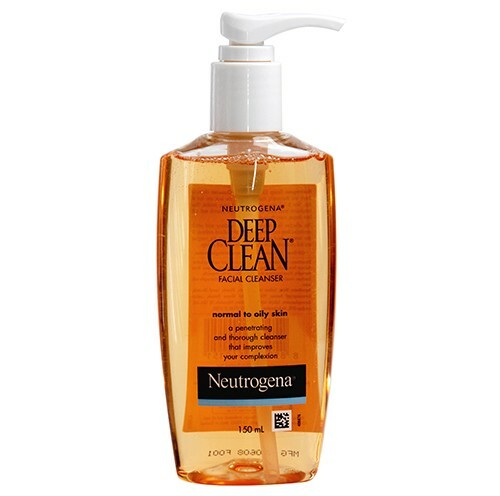 I personally prefer this face wash over Neutrogena deep clean face wash for deeply cleaning my skin. Along with effectively removing all traces of dirt and grease, it leaves skin looking extra white and bight! Good: Contains activated carbon. Whitens skin. Makes it squeaky clean. This comes in three pleasant smelling fruity variants. A gentle formula that suits most skin types and effectively does its basic job of cleaning the skin. Good: Suits all skin types. Cleans well. Bad: Does not contain special or fancy ingredients. Tiny beads may feel harsh on extra sensitive skin. A budget-friendly cleanser for normal to dry skin. It’s a creamy formula that leaves skin feeling soft and supple after use. Its ‘nutrium serum’ replenishes skin of its lost moisture. Good: Leaves skin feeling clean and glowing. Bad: May not suit oily skin. A gel formula that contains cucumber extract to clean the skin. It provides excellent results to most skin types. Removes dirt, dust, grim, and makeup without drying the skin. Makes skin look radiant, fresh and squeaky clean. Good: Contains natural brightening extracts for fairness. Gentle on skin. Nourishes skin. Bad: May not suit highly oily or acne prone skin. Good cleanser for oily skin and skin prone to blemishes and blackheads. Contains salicyclic acid for unclogging blocked pores, removing blackheads, fading spots and reducing pore size. Good: Contains BHA for clearing skin imperfections. Bad: Beauties with dry, sensitive and normal skin may find this cleanser harsh for their skin. One of the best face washes in India, when it comes to soothing and cleaning sun exposed skin. Contains special skin soothing and anti-tan ingredients to deeply clean and nourish each pore after sun exposure. Good: Suits most skin types. Feels soothing and nourishing on skin. Bad: Could not find any. Must-have for Indian summers. Great cream based face wash for dry and sensitive skin. Cleanses and replenishes skin with right nutrients. Good: Good cleanser for all skin types and fulfills most skin concerns. Bad: Highly oily skinned gals may not find this face wash suitable. This compiles my list of ten best face washes in India for different skin concerns. All these are easily available budget friendly cleansers that effectively do their job. Which one is your favorite? Would love to know about your pick from the list. Please share your best face wash in comments below. Cetaphil is a must try! You will surely like it! Tnx for stopping by and having look on my blog. Keep in touch. 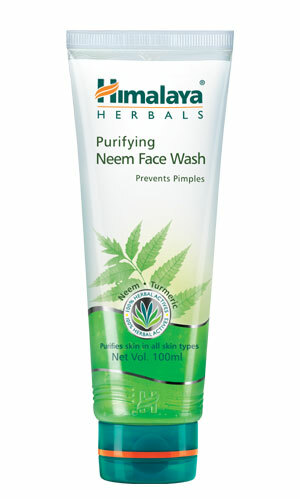 I’ve been using Himalaya Herbals Purifying Neem Face Wash from a long time now. But since recently I’ve extremely dry skin maybe that’s why it’s not suiting me. 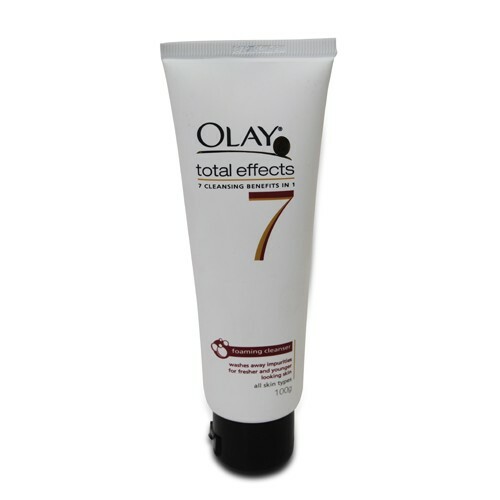 I had tried Olay Total Effects Foaming Cleanser in 2009 which was really nice. I’ve tried many others like from Himalaya HERBALS: Moisturizing Aloe Vera Face Wash which is just not true to its claims also has a minty feel which I don’t like, Deep Cleansing Apricot Face Wash which is again not true to its claims. It started giving me a dry feel after some uses only that too not regular. I’ve decided to try Dove Beauty Moisture Face wash, Olay Total Effects Foaming Cleanser & Lakme Sun Expert After Sun Face Wash for me & Maa. Please tell me about any other herbal face wash of Indian company if you know. Hello Riti. You wont get disappointed with Dove Beauty Moisture Face wash. Its real good face wash for normal to dry skin. For good herbal face washes; you can check out brands like forest essentials and bio bloom. No doubt they are on the higher price range. But they are certainly best for skin in long run. Hello Sweta. Use Cetaphil if you have sensitive skin otherise you can Saslic D.S. Hi Keerthu. You can try Garnier Neem Face Wash. You can also find the review of same on our blog. Hi, am already using a face face wash which my doctor suggested. and if i use any other cream or gel it appears black spots and dark color on my face, can i use Cetaphil.?? Yes. Cetaphil is safe to use. Hi I’m 17…n I have a very sensitive skin and I’m allergic to neem. 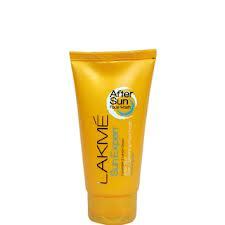 My skin gets very oily in summers and very dry in winters and I have acne too. 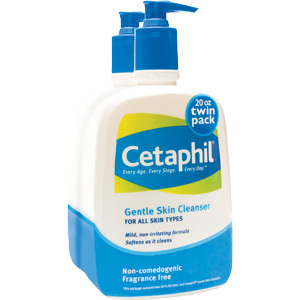 Cetaphil is one of the best cleansers for sensitive skin. Best part is, it suits all skin types in all weather conditions. Other good options to try are Vichy Normaderm, Saslic D.S., AHA glow etc. Um.. which one though..cetaphil daily facial cleanser or cetaphil gentle skin cleanser?? I m 18….. and I wants to lighten my skin….I have normal skin type. Neutrogena fine fairness cleanser would be a good option for you. i have dry skin, which one is better for me????? please suggest. Hi Nisha. 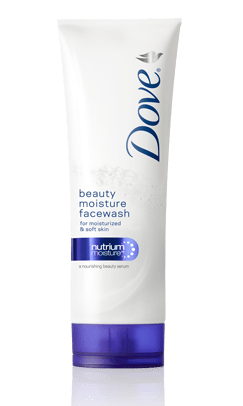 Dove beauty moisture face wash is a great pick for dry skin. I am confused .. Many sites says Cetaphil contains SLS and it causes lot of damage to skin. Is that true ? Can you recommend me the face wash which is herbal My skin type is dry. I am really delighted after reading your blog! But i am confused! I want to brighten my skin tone so which face wash and face cream should i use? Budget friendly of course cause i am a teen! Studying only in XI standard. I will be happy if you suggest me these two things and anything else if required. Thanks for sharing the blog! Hi Satwat. Thanks for writing in. You can AHA glow face wash available at most pharmacies. It’s a highly affordable face wash that is much more effective than most other high-end and high priced cleansers in the market. As for a face cream, I would suggest you to use any good moisturizer that suits your skin. 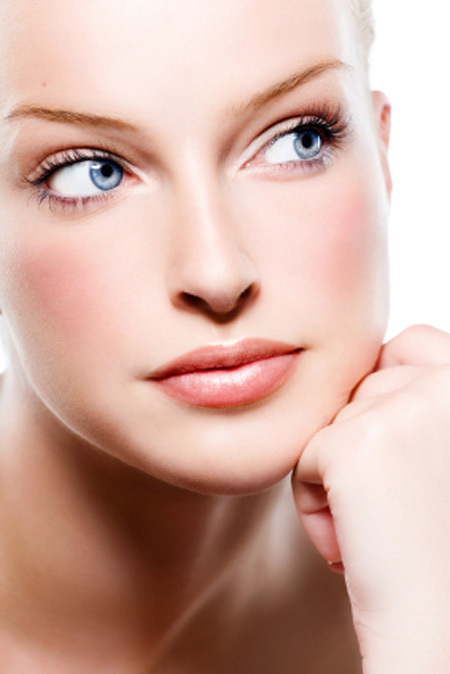 Sometimes, the dullness is due to dehydrated skin and moisturizer would take care of that. You may also use a good spf with moisturizing properties instead of a moisturizer, that would be better choice anytime. Now for skin lightening or brightening concerns at your age, I would recommend only some good old home remedies. You can check out this post about some effective home remedies for skin lightening. Wish you all the best and do update. Hi Pooja. You should go for a deep cleansing and brightening face wash such as AHA Glow for clear skin and even tone complexion. 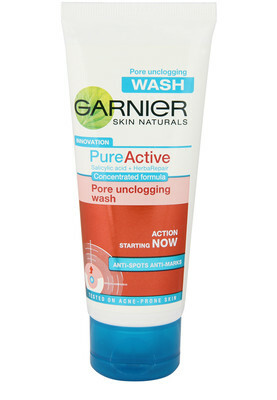 The face wash is commonly available at pharmacies and medical shops. Hi Aarefa. Apologies for late reply. At young age, it’s best use to home remedies for different skin concerns. Mix two tablespoons of curd with two tablespoons cucumber juice, one teaspoon honey and one teaspoon lemon juice and apply it evenly on your daughter’s face once every week. As for a brightening face wash and moisturizer, you can use AHA glow face wash/Kaya fairness face wash and Neutrogena fine fairness serum (in the night followed by cream), Neutrogena fine fairness cream followed by sunscreen of spf 30 during day time. Also, encourage her to eat more fresh fruits and vegetables. Increase intake of vitamin C, A, E and B for skin brightening benefits. A glass of daily lemon + honey water or orange juice empty stomach in the morning would go a long way. All the best and keep me posted! Hi Aakash. You can get Cetaphil cleanser from any pharmacy or drugstore near you. It’s also available online at various beauty stores like Nykaa, Purplle etc.